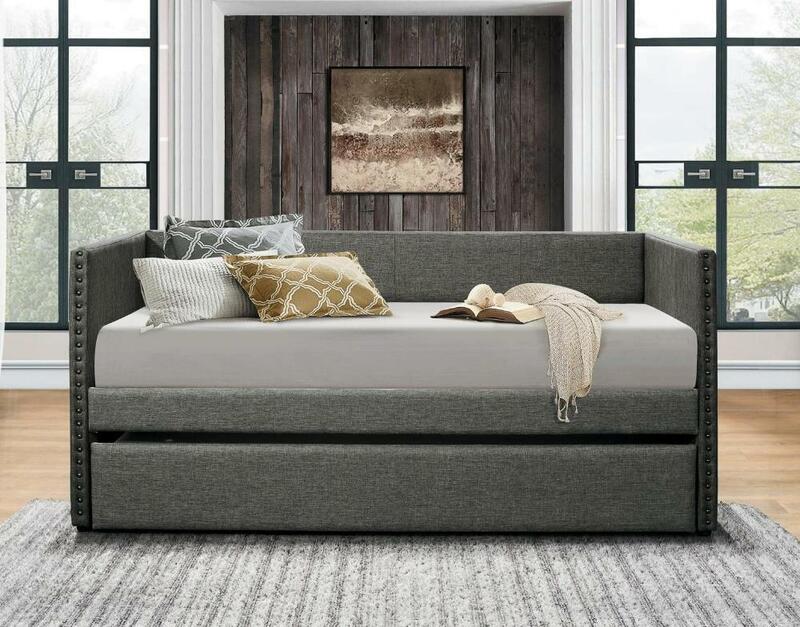 The fabric covering of the Therese Collection is offered in five colors: Blue, chocolate, grey, orange and red, that blended with nailhead accent and clean lines, creates a look that compliment your home decor. 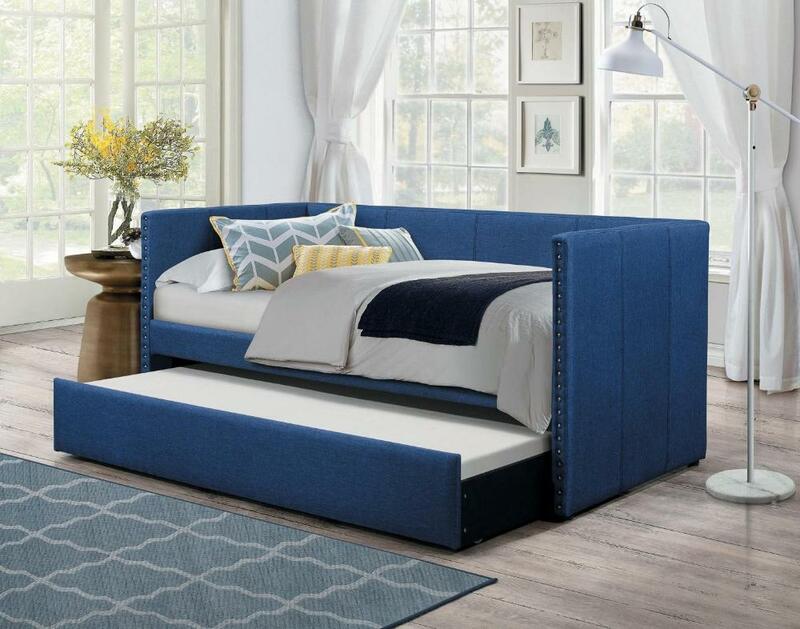 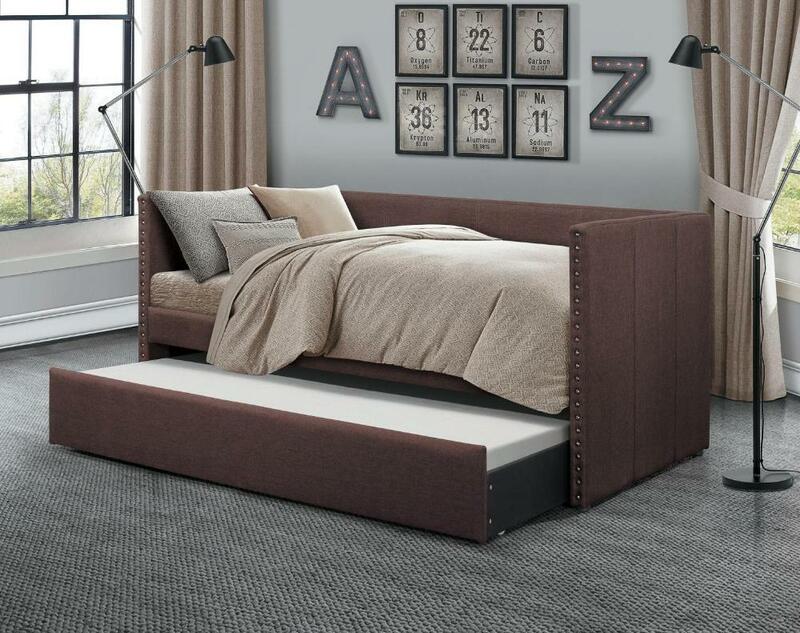 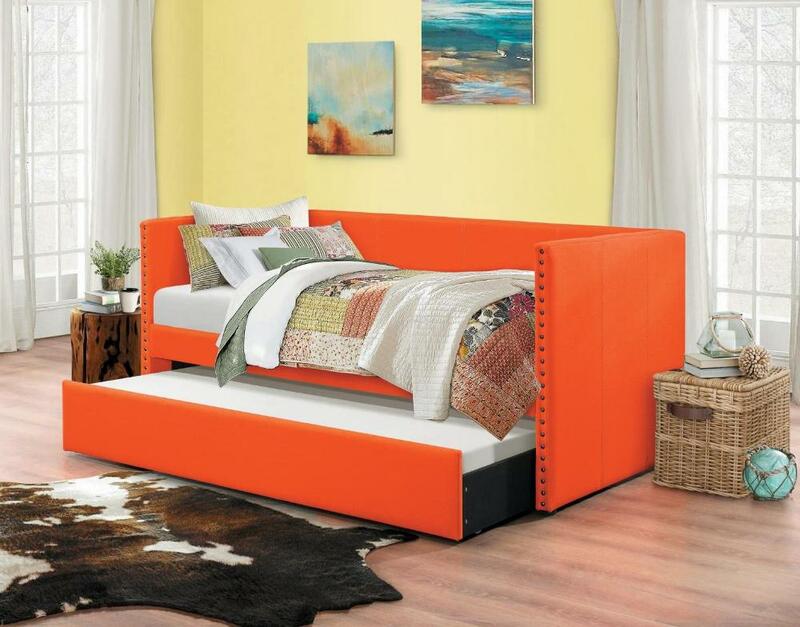 Whether used for sleeping or relaxing, the clean-lined daybed design allows for placement in a number of room sizes and configurations, while the under-bed trundle pulls out to accommodate your additional sleep space needs. 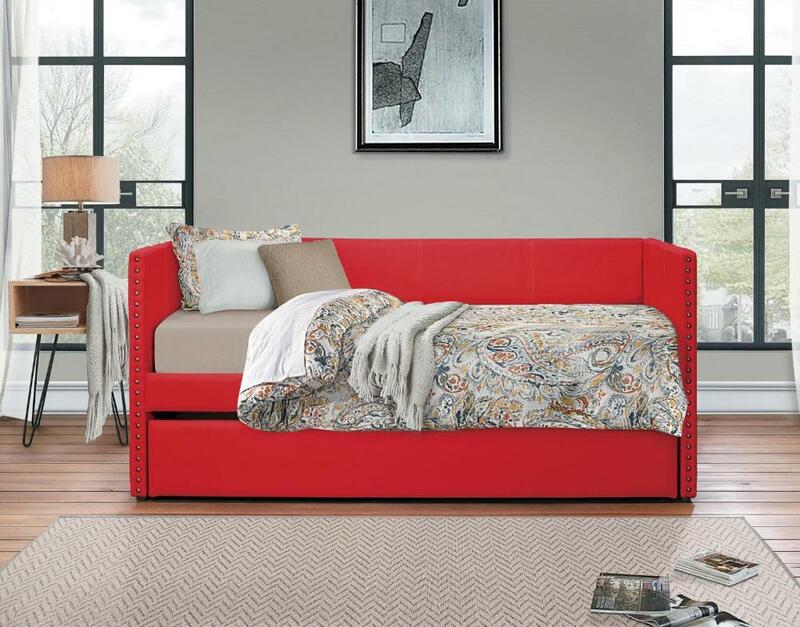 FEATURES: Blue / Chocolate / Grey / Orange / Red Colors ~ Fabric Upholstered Covers ~ Contemporary / Transitional Style ~ Nailhead / Clean Lines Accents ~ Includes Trundle Unit.